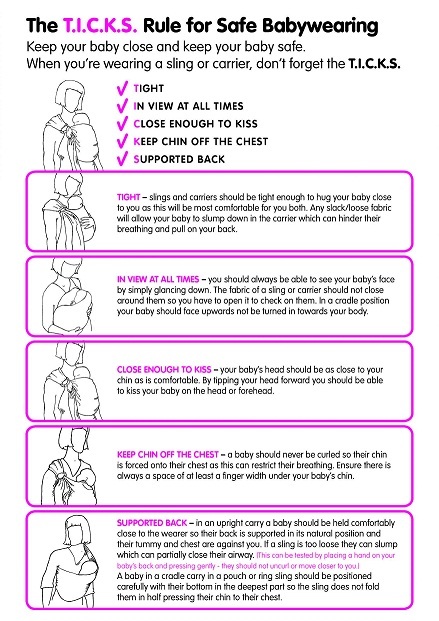 We have been busy working behind the scenes at Babywearing Wellington organising this years events. We are very lucky to have had some generous companies donate products and vouchers to show their support for Babywearing Wellington too! We will have goodie bags and spot prizes (including carriers to give away!) at all our events across the week, and if you cannot make our events you can still participate online in our photo competitions, simply take a selfie and upload it to our Facebook page. Keen to make your own ring sling? Our first event as part of New Zealand Babywearing Week will be a DIY Ring Sling Workshop lead by talented crafty babywearers Evie and Sarah. This workshop is suitable for beginner sewers who have basic knowledge of how to sew a straight line on a sewing machine. Evie and Sarah will guide you every step of the way to ensure you have a fun time making a tidy safe-to-use ring sling. Payment for this work shop will need to be paid in advance to secure your place, and will cover materials, equipment hire and instruction. This fee is non-refundable however if for some reason you are unable to come to the workshop after booking your place then you can transfer your booking to someone else. You are welcome to bring along your own woven fabric to convert to a ringsling as well – please note that this will not change the cost of the workshop for you and will be at the discretion and advice of Evie and Sarah if it is suitable for conversion. Please note that due to the nature of this workshop (sharp scissors, hot irons, plugs and cords, limited space) we are unable to accommodate children. Younger babes can accompany you if they’re worn. Sign in: Story Place. Meet outside Story Place from 10am – 10.20am. You will need to meet us here to sign in. You must be signed in to go in the carrier draws. We will still have our fantastic goodie bags for the first 25 to sign in (one bag per family). Once you have signed in you are welcome to then go and explore around Te Papa and meet us later for the giveaway, or you can hang out for a bit and join in the group walk upstairs. Carrier giveaway spot: The Marae. Meet us at 11am at the Marae for the carrier giveaways. To be in the draw for the carrier giveaways you must be signed in. We will use an online randomiser to determine winners for the carriers. Big thanks to our big sponsors who have made sharing the wearing possible : check out their pages for Babywearing week specials and discounts you don’t want to miss! We’re really excited to flood Te Papa with baby wearers and share our vibrant babywearing community! Post a selfie to our Facebook page: http://www.facebook.com/babywearingwellington that is related to babywearing and sleeping, tag #bwwsleeping. There will be a spot prize posted out to the winner of this photo competition. Everyone who enters into the photo competitions during the week will also go into the draw to win a ‘winners choice’ voucher from Carry My Baby and Scarecrow Farm which can either be redeemed for a Moby stretchy wrap, or a $50 Carry My Baby voucher. This will be drawn at the end of the week. 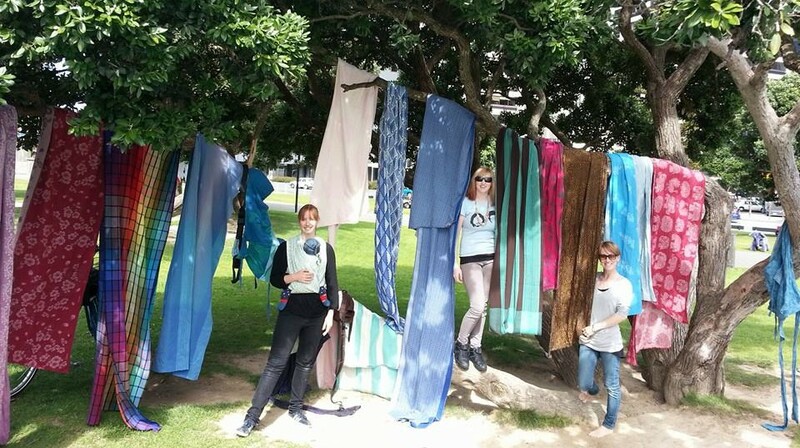 As part of our celebrations of New Zealand Babywearing Week we hope you can join us for Babywearing Wellington’s Annual Picnic in the Park, a time where we come together and show off our carrier stash to each other! Bring along a picnic and your collection and come for a chill and chat and some giveaways! This year Penina from Kangatraining Wellington North will also be holding a free outdoor kangatraining class! Kangatraining is a fun way to exercise while wearing your baby. If you think you’d like to join in the one-off outdoor class there’s a quick form you’ll need to fill out so that Penina can make sure Kangatraining will be safe for you. You are not signing up for classes/advertising 🙂 Everyone who comes to the picnic and free kangatraining class will also receive a free pass to attend one of Penina’s classes! Post a selfie to our Facebook page: http://www.facebook.com/babywearingwellington that is related to babywearing out and about, tag #bwwoutandabout. There will be a spot prize posted out to the winner of this photo competition. 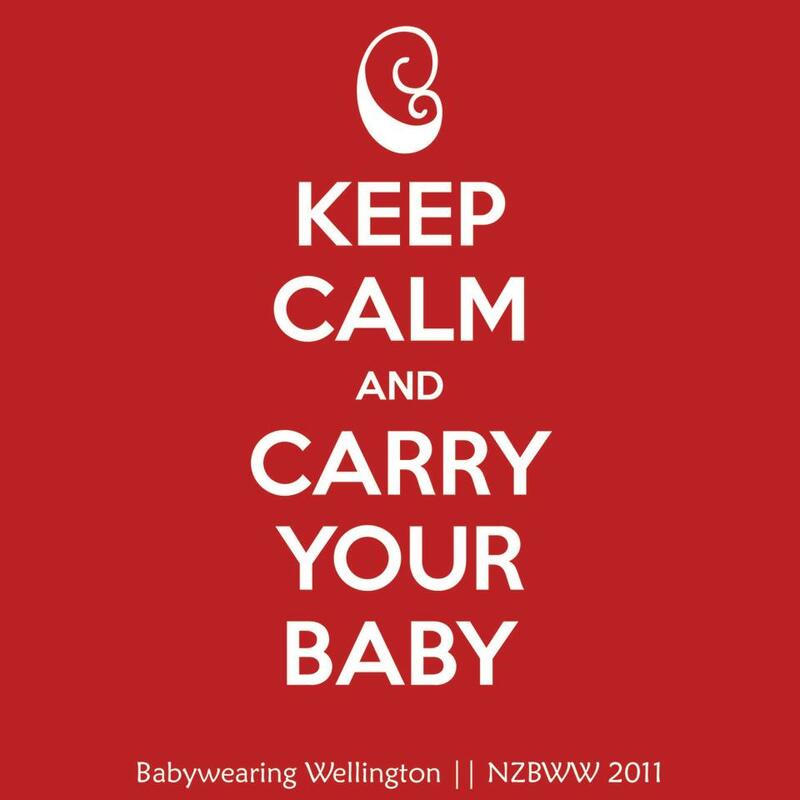 Post a selfie to our Facebook page: http://www.facebook.com/babywearingwellington that is related to sharing the babywearing love, tag #bwwsharingthewearing. There will be a spot prize posted out to the winner of this photo competition. Everyone who enters into the photo competition during the week will also go into the draw to win a ‘winners choice’ voucher from Carry My Baby and Scarecrow Farm which can either be redeemed for a Moby stretchy wrap, or a $50 Carry My Baby voucher. This will be drawn at the end of the week. Come along to our monthly sling meet at the Southern Cross. Get advice about different carrier options, help with fitting your carrier, try on carriers from our sling library and hire something if you’d like to! There can be a waitlist for some of our carriers, so send us and email to babywearingwellington@gmail.com with ‘carrier reserve’ in the subject line and let us know what you would like to reserve. See our ‘upcoming sling meet’ post here: https://babywearingwellington.org.nz/2016/09/08/october-slingmeet-7-october-2016/ for more details about our monthly sling meets. We are so grateful and thankful for the support we have received from local and national companies who are all getting in behind Babywearing Wellington and our events over NZ Babywearing Week. We couldn’t make this event what it is without these wonderful companies! Check out our Facebook page to see what these companies have gifted us! Tags: babywearingwellington, Competitions, diy, Fun, Giveaways, NZBabywearingWeek2016, NZBWW2016, slingwalk, Workshop. Bookmark the permalink.